Superb starter home with a great garden and the added benefit of a garage and driveway parking. 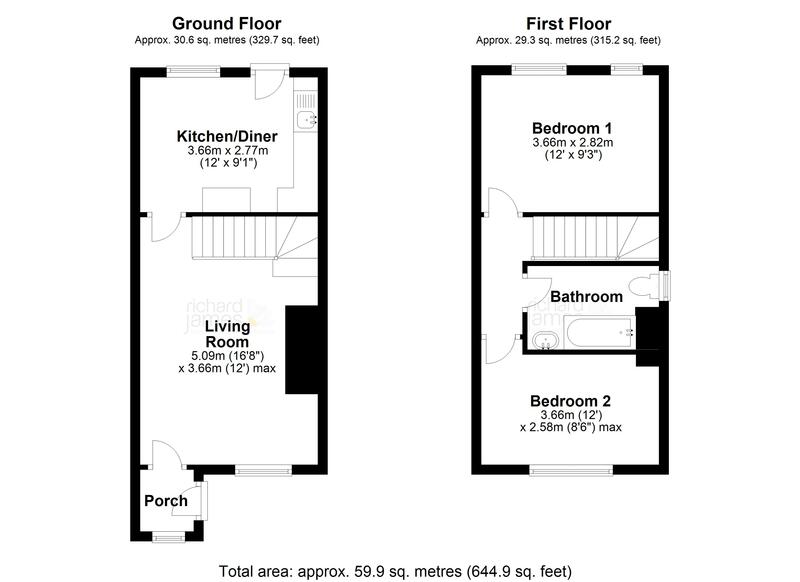 Comprising Entrance Porch, Living Room, Kitchen/Diner with door directly onto the rear garden, Landing, Two Double Bedrooms, Bathroom and Gas Heating. A great First Time Buy With All the Amenities and Travel Links You Would Ever Need On Hand.